Brisbane's love affair with burgers is growing more passionate by the day. And new Brisbane restaurants are popping up all over the shop to accommodate. But we're not talking sesame seed bread rolls with a rissole in between. 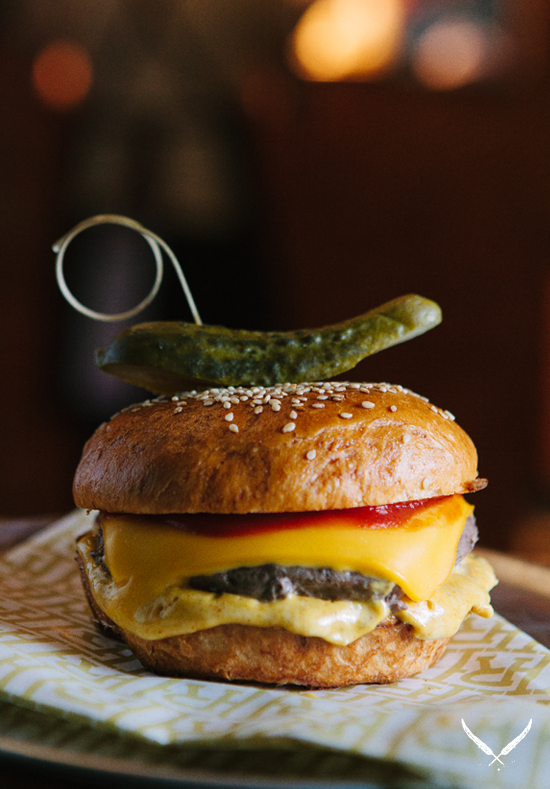 The Brisbane burgers that have caught our tastebuds in a loving embrace and refuse to let them go are the authentic American burgers, complete with too-yellow cheese, mustard, and, yes, pickles. These are the new Brisbane burger joints you need to check out this weekend! Just when we thought we were over American restaurants, Red Hook showed up and we feel in love all over again. Diner, takeout joint, and bar, this new Brisbane restaurant does Americana classics—like lobster rolls, hot dogs, duck tacos, and cheeseburgers—very well indeed. They also do spiked ice cream sodas. You have to get down there. Not content with just doing great American grub for lunch and dinner, including their already infamous Phil Collins Dirty Burger, this new Brisbane restaurant also does a bangin' American breakfast. What do Yankees eat for breakfast, you ask? How about caremelised banana pizza, with peanut butter and jelly, double cream, and candied bacon? Or a country-fried chicken pancake with maple peaches and cream? If that doesn't tempt you, their braised beef cheek taco with sour cream, poached eggs, avo, and jalapeno salsa will. It's no surprise new Brisbane café The Dirty South is already gaining a rep' for it's down-and-dirty Deep South breakfasts. If you haven't heard the hype about Ben's yet, you haven't been on The Urban List lately. Ben's super-simple burger menu is pretty darn near perfect — think classic burgers, beers, and open late on weekends for chance drunken stumbles. A very welcome addition to Brisbane's new restaurants scene. And four new Brisbane burger joints makes a food trend. Getta Burger (by day That Coffee Joint) in Carina, is the delicious brain child of the guys behind the That BBQ Joint food truck. This is a serious burger restaurant (no veggie burgers here, sorry folks!) that utilises the heady southern flavours of slow-cooked meats to excellent effect. Click here for more new restaurants in Brisbane!